The season of exquisite fashion and sartorial refinement is upon us. Each fall and winter, the society socialites come out to play in their biggest and best gowns. Gala season is an alluring spectacle that gets more exciting with every layer of tulle and satin. In tribute to one of the most elegant times of the year, we’ve shared our favorite gala-ready dresses available at Aventura Mall. Whoever said less is more? 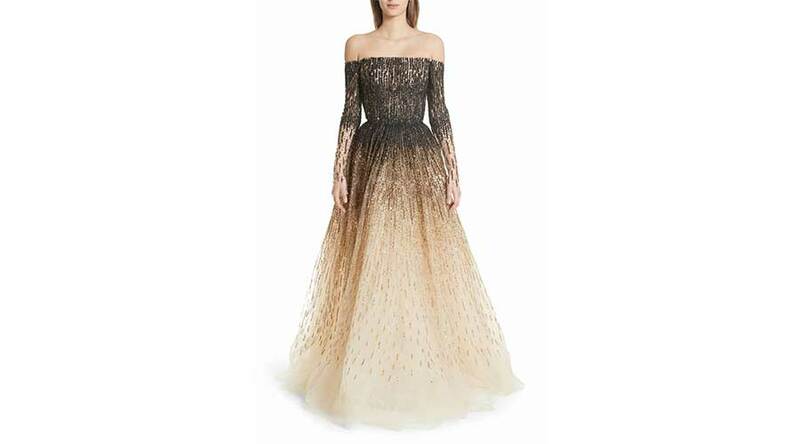 When opting for a gala dress, the phrase “go big or go home” comes to mind. Capture the attention of every party guest with a whimsical ball gown. Pamela Rolland’s lustrous sequin ballgown would easily make any woman feel like royalty. The mesh overlay allows you to not only walk in the room, but float as if you were on Cloud 9. Carolina Herrera’s dress exudes a chic vibe that’s feminine and impactful with every detail. Whether ruffled or sequin-encrusted, one can never go wrong with an asymmetrical gown. The one-shoulder dresses create a unique and playful silhouette with details that stand out from the sea of traditional necklines. Applique flowers and intricate garden-inspired details are a trend that stretches far past spring in the gala world. 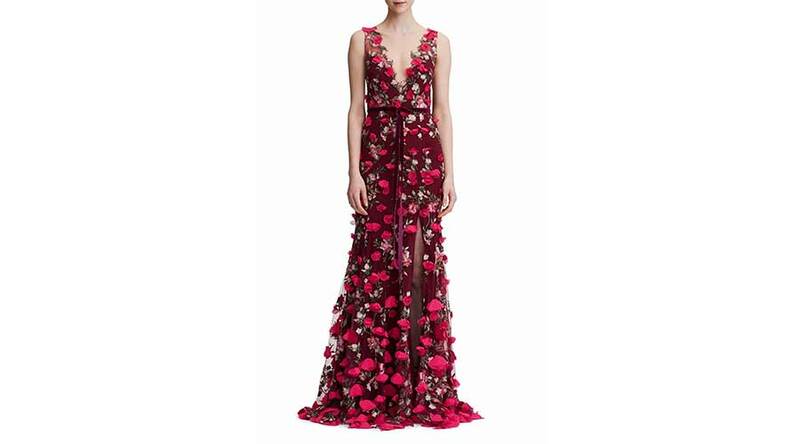 Marchesa, known for fantasy-inspired gowns, hits a high note with this floral embroidered trumpet gown. The 3D blooms sprout from embroidered vines, bringing an enchanted garden scene to life. 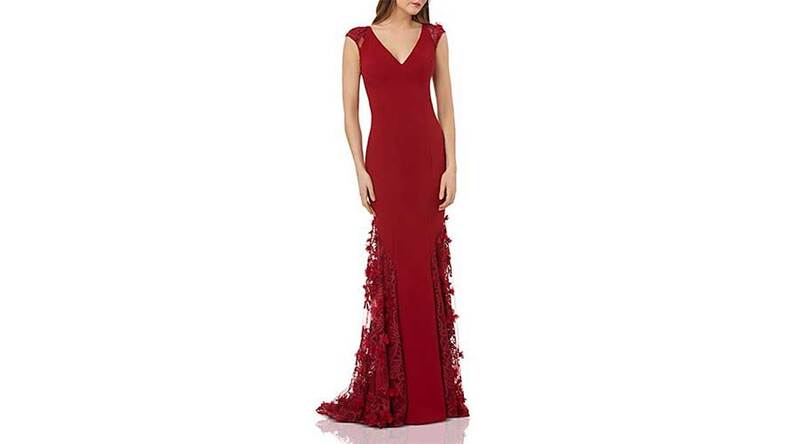 The subtle and sophisticated Carmen Marc Valvo floral gown features a fitted mermaid-style silhouette that is all glam on the top and party on the bottom. Soft, romantic, and timeless – off-the-shoulder gowns are a favorite during gala season. The classic silhouettes are incredibly flattering in any setting. 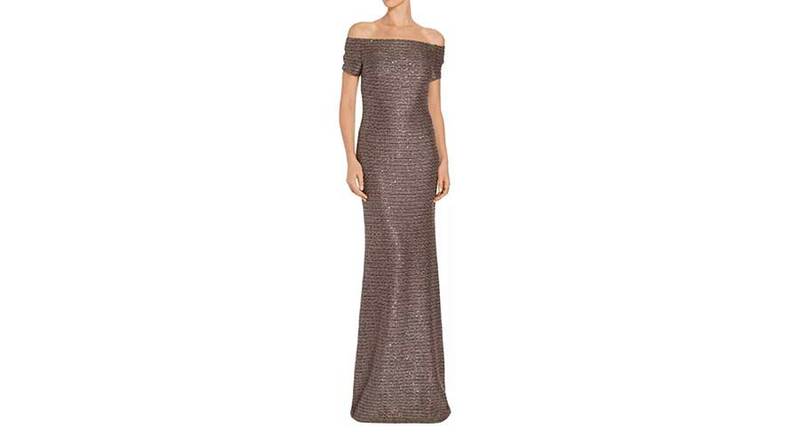 St. John’s twisted sequin knit gown is a winner for winter months. The color palette, fabric, and sparkle will catch the eyes of everyone you pass. 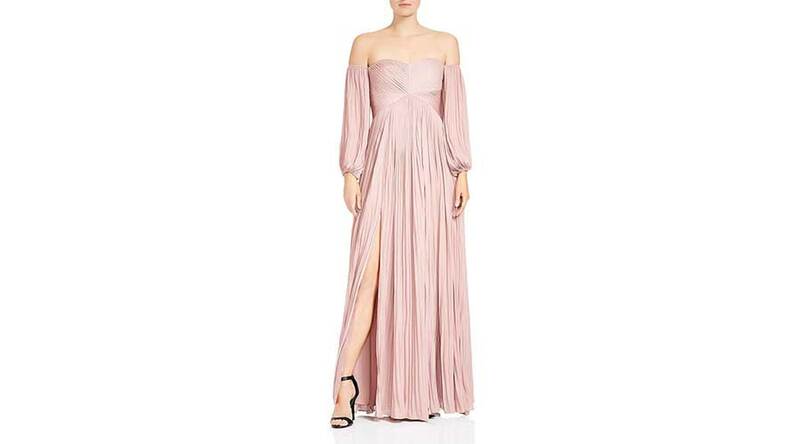 Halston Heritage’s pleated gown offers a fairy-tale mystique that is both poetic and posh.